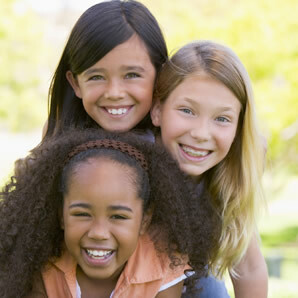 For most people, achieving a healthy, beautiful smile is the reason for receiving orthodontic care. If you're self-conscious about your smile, straightening your teeth with braces or aligners will greatly improve the way you look and feel. Gone are the days when a metal band with a bracket was placed around each tooth. You can now choose clear or metal braces. Modern wires are far less noticeable than in the past,since they are thinner and apply very light forces to teeth. These latest wires, made of super-elastic materials, move teeth gently and fast, with comfort similar to natural eruption. Today, any age is a great age to wear braces! Our patinets range from 8 to 80 years of age! Treatment time varies and can last between one and three years, depending on several factors including age, growth and habit changes, treatment method, and how minor or severe your bite problem is. A big factor in successful and timely treatment is you! The more involved and diligent you are, the more efficient your treatment will be. For children receiving interceptive (usually early, limited), treatment, orthodontic care is typically for a short time and will provide a much better end result after a second, finishing phase of therapy at an older age.